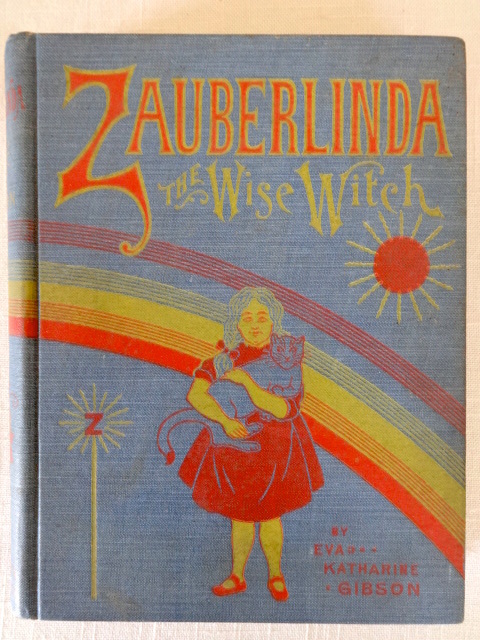 Zauberlinda the Wise Witch, a lavish pastiche (imitation) of the Wonderful Wizard of Oz by L. Frank Baum. 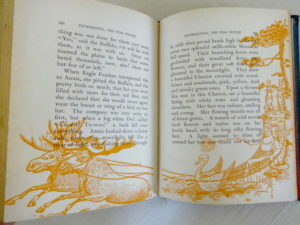 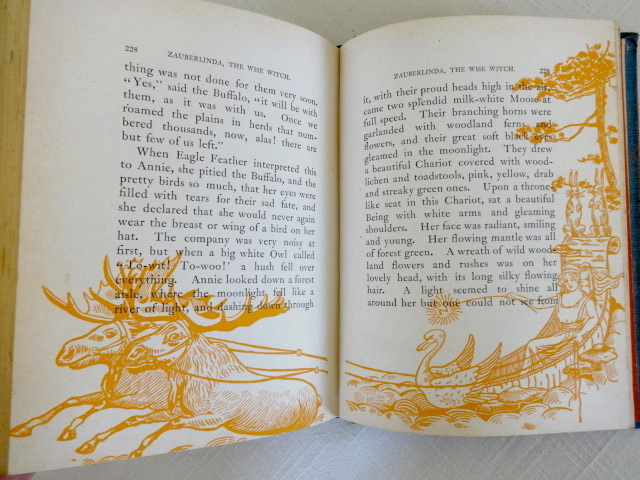 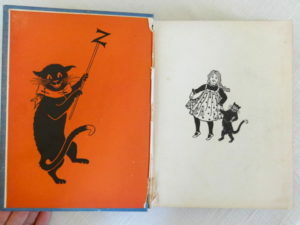 This one book by Eva Katherine Gibson and Illustrated by Mabel Tibbetts. 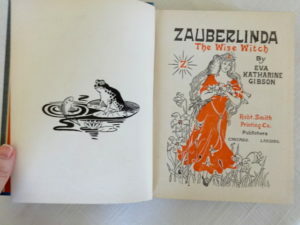 Published by the Robt. Smith Printing Co., 1901. 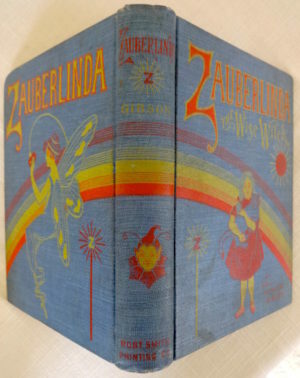 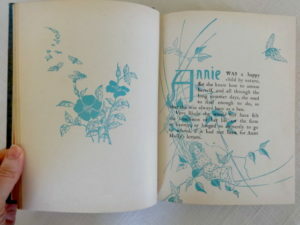 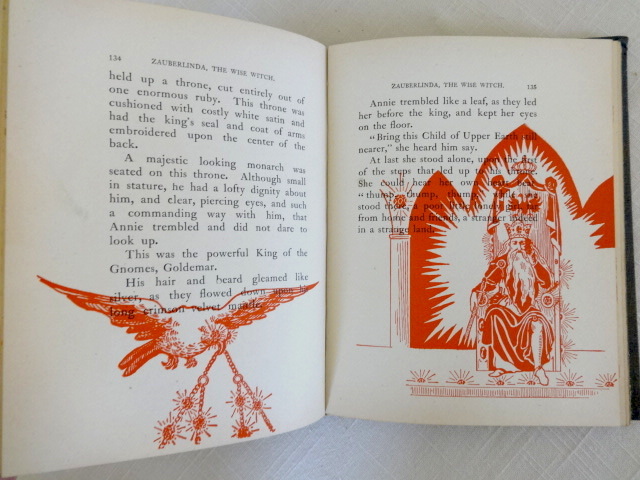 The book was issued without inserted colored plates, but profusely illustrated in color–color front and back endpapers, and color line illustrations on EVERY page in imitation of Denslow’s design style. The story, also, has Oz elements–“Annie” lives on a farm in the prairie, she stands on the cover before a rainbow, she has a beloved pet cat…well, you get the idea. 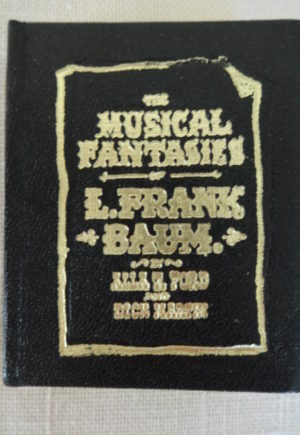 Book is in very nice condition overall–the nicest I have seen of this title. The wrap-around illustrated cover is in great condition–clean and bright, cloth quite nice still on front, spine and rear cover. 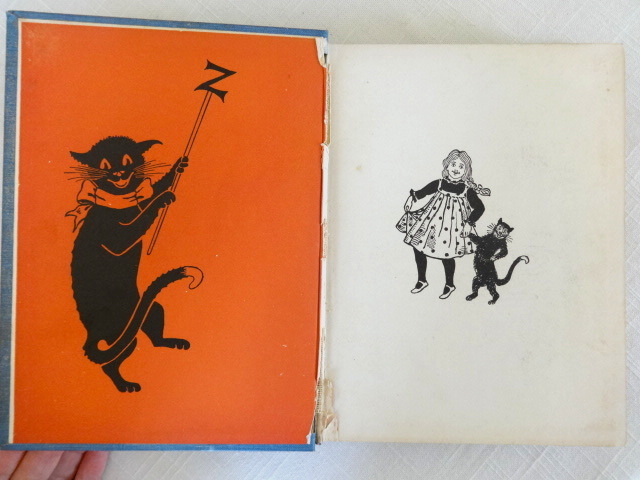 Inside, both hinges are cracked, but the binding is holding tight. 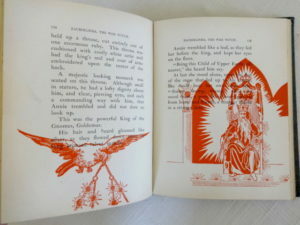 All pages are present and in very nice shape–quite clean and bright, no tears, marks, writing, or stains. 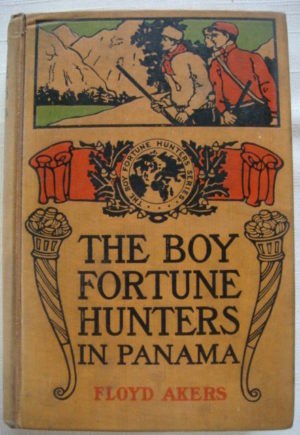 A very nice topy of this interesting title.